The Primo series of testers provide a fast and dependable way to measure the total dissolved solids (TDS) concentration of your water samples. It is ideally suited for the rigorous demands of water quality professionals. Temperature is compensated automatically to ensure the readings are consistent to the standard or reference temperature. The temperature correction coefficient, also referred to as β, is fixed at 2%/°C for TDS measurements. With Primo, operation and routine maintenance has never been easier. Using a single button at the top of the meter, Primo is powered and ready for use. Press and hold the button for a few seconds and Primo automatically enters calibration mode. Simply open a sachet of calibration solution, dip the probe in, and within seconds the meter recognizes the buffer and stores the calibration. Primo is supplied with batteries and instructions. Primo TDS tester is a rugged and reliable pocket-sized tester that offers quick and accurate readings. Primo is used for testing total dissolved solids (TDS) in applications such as hydroponics, drinking water, reverse osmosis systems, and aquariums. 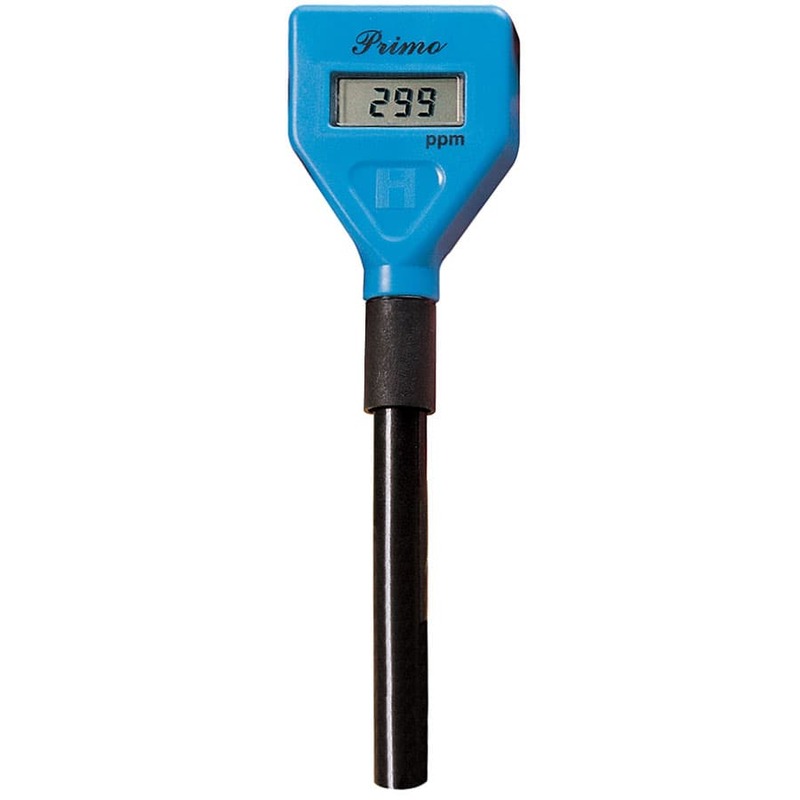 This meter features Automatic Temperature Compensation (ATC) and automatic single point calibration at 1382 ppm, ensuring the Primo is ready for use in no time.